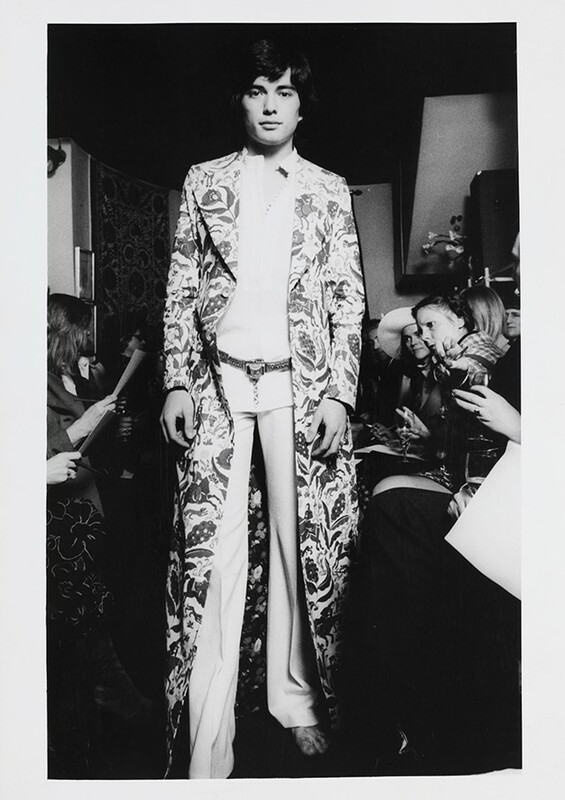 Billowing silk silhouettes, high-neck blouses and swirling floral embroidery – Thea Porter is an emblem of the 1970s. 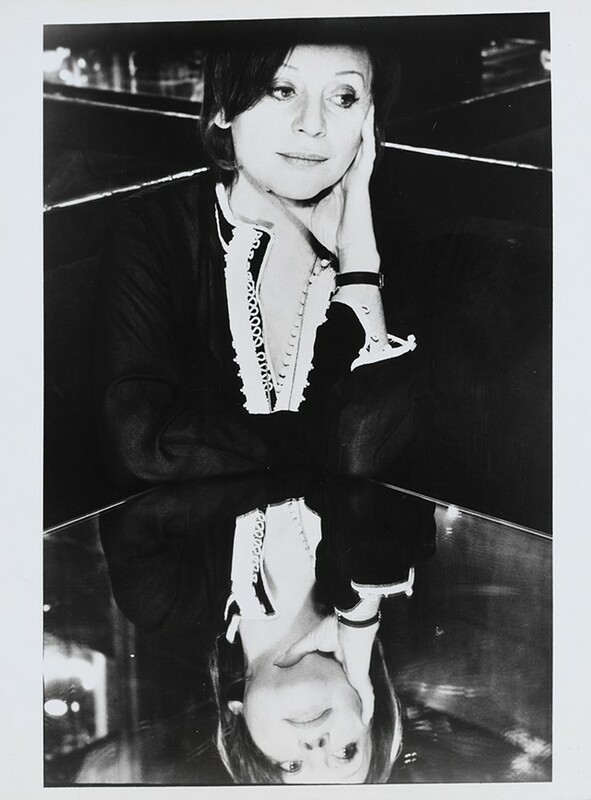 She encompassed, and arguably defined hippie chic but more than that, she made it glamorous. The fashion and interior designer put a luxurious, sophisticated spin on the decade’s overgrown, nomadic style, pioneering her own Woodstock elegance. 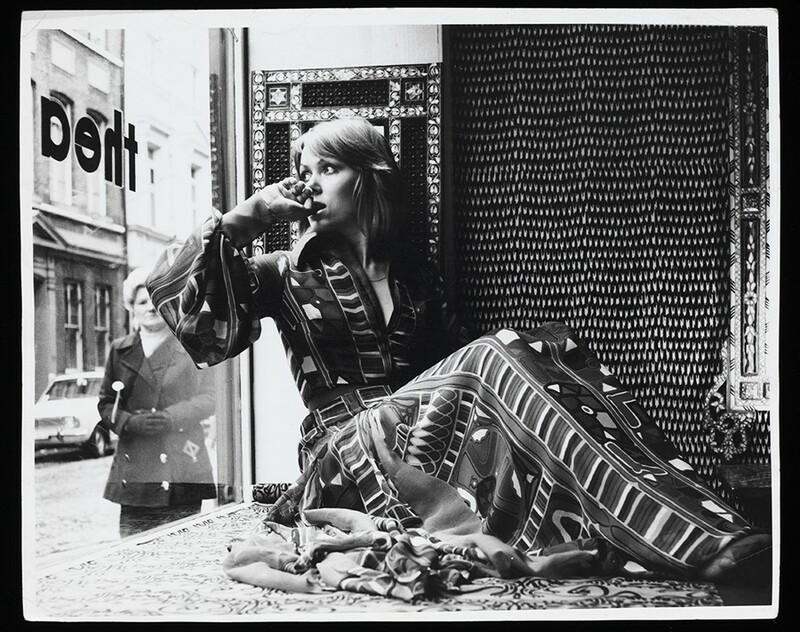 Like Barbara Hulanicki of Biba, she put a retail tag on hippie, except Porter’s price had many more zeros on the end. Her Greek Street shop, which opened in 1966, was a regular hangout for The Beatles, Pink Floyd, Jane Fonda, even Elizabeth Taylor. As an LA Times article commented in 1973: "She taught the rich how to look hip and Halston how to cash in on kaftans." Porter grew up in Jerusalem and Damascus before living in Beirut, London, New York, Los Angeles and Paris. Her wardrobe was a tapestry of the cultures in which she had lived and partied – an exotic, escapist fantasy. And now, as the 1970s comes alive once more across the catwalk, Porter’s style is making sense all over again. It is also the subject of a new exhibition at the Fashion and Textile Museum, which explores her extraordinary life and legacy. Here is our 3-point guide to achieving Porter’s iconic look. Overgrown, free-flowing kaftans and robes were key to Porter’s style. They embodied an exotic Oriental fantasy, inspired by the Middle Eastern textiles she had experienced growing up. Unusual fabrics were her specialty – gold brocade, luscious silk and romantic Swiss chiffon, extravagant in both aesthetic and fee. "She taught the rich how to look hip and Halston how to cash in on kaftans"
What would a hippie girl be without a gipsy dress? Porter designed folklore gowns in near-psychedelic prints, with irregular hems, billowing sleeves and intrinsic smocking. She abhorred knitwear and reportedly only owned one jumper. Kate Moss, a Porter collector, wore a periwinkle blue blouson dress by the designer to her wedding rehearsal dinner in 2011. Porter was a free spirit, and this resonated throughout her clothing. In 1953, she married economist Robert Porter, and spent the early 60s running amok as a diplomat’s wife, travelling through Iran and Jordan and holidaying in France and Italy. “We went to nightclubs every night and had millions of clothes,” she said. The marriage dissolved in 1964, which took Porter to London to set up shop as the Queen of Boho Soho. Astrology, not accountancy, guided her business and predictably as the 70s petered out, so did Porter’s clientele and profit. However, even at her poorest, she never failed to look anything other than utterly glamorous. 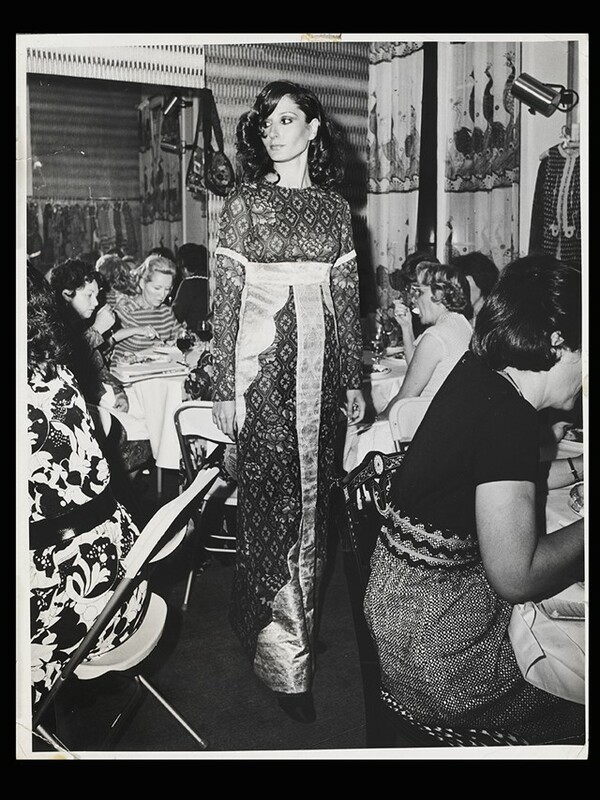 Thea Porter: 70s Bohemian Chic is at the Fashion and Textile Museum from February 3 to May 3.